Things you need to know before an installation…. With any roofing project, there are certain steps that you, as homeowners, and us, as a roofing contractor, can take to help the project proceed smoothly. That is why we initiated a Customer Care program, a series of tips and helpful ideas to safeguard your home. 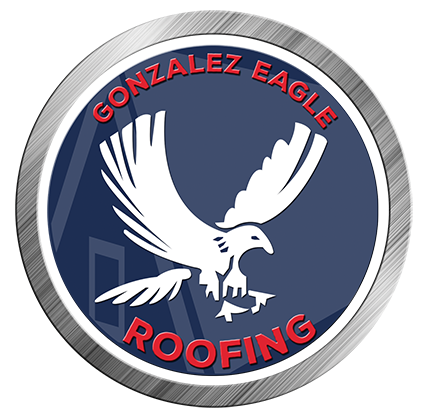 With Gonzalez Eagle roofing, Safety Comes First! Clean the site during and at the end of the day. In case there is rain in the forecast, we will tarp your roof daily to protect your home. Check and/or remove paintings, antiques, photos, and mirrors from walls, this is to protect them from falling when the walls vibrate. Let us know if we may be of any assistance to you with any of these above preventative actions. PLEASE see that Electric Power is provided to the outside of your house. Please keep your driveway clear for our access. When the tiles or shingles are delivered to your home, please check the color and notify Professional Roofing Services immediately if the color is not what you selected. Be prepared for the noise! There will be constant hammering for one or more days depending on the size of your roof. Keep children and pets away from the work area. Falling debris can cause injury. When the roofing crew is finished with the actual roof, our job is not complete. We will perform a final inspection and cleanup the same day or during the next few days. We are not responsible for nail pops* in ceiling sheet-rock and damage to hidden AC or electrical lines that are too close to the substrate because they should not have been installed per building code. In addition, we are not responsible for HVAC pipes that come loose or disconnected from units or water heaters due to improper installation. Nail pops occur when the acoustic ceiling “mud” falls off the ceiling in a small quantity, namely from the heads of nails or screws holding up the sheetrock ceiling. The reason “Nail Pops” occur is: when sheetrock is hung on a ceiling it has metal or zinc fasteners. After the fasteners are installed, the ceiling must be primed prior to application of “mud” (this is known as floating the ceiling). If the priming process is not done, the exposed heads of the fasteners are exposed directly to the “mud” and will flake-off with any vibration. This is improper work by either the Painter or Sheetrock Contractor. One must also keep in mind that heat rises, therefore, the ceiling line is the hottest (driest) area in the house. This in combination with an improperly mixed “mud” will lead to many sheetrock problems. Note: “mud” can be improperly mixed if the original contractor who mixes the “mud” either put too much or not enough water in the blend of the “mud”, which in essence renders sub-standard “mud” for the job. The combination of all or any of the above mistakes that could happen during sheetrock and painting process can lead to issues during the roofing process. Roofing does create vibration in the substrate of the house. Unfortunately, there is nothing that can be done by the Roofing Company to eliminate potential sheetrock or “mud” issues. Based on our experience in the field, the followings are the typical causes of the common roof problems. The best preventive maintenance that one can do is to perform semi-annual inspections and roof tune-ups to identify and solve problems as they occur. 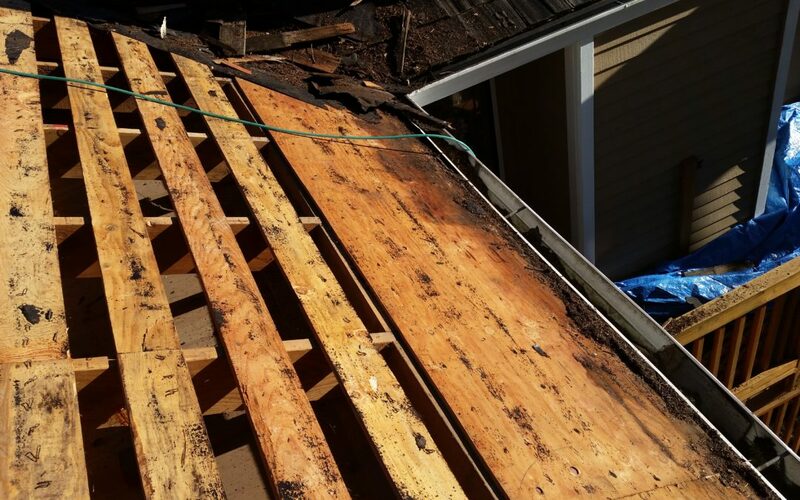 Roofs get more abuse from the elements than any other part of the building. 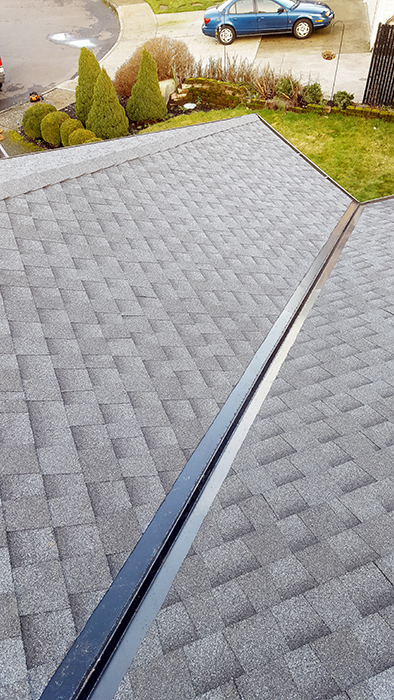 Just like periodic maintenance of your car will increase its lifetime mileage, and routine teeth checkup and cleaning will save you the pain and expense of removing cavity and pulling out teeth in the future, preventative roof maintenance is a key element to saving money on your roof by providing a longer life cycle. All roofing materials deteriorate from exposure to the weather at rates determined by the kind of material and the conditions of exposure. In generally, non-organic (fiber-glass reinforced) roofing materials tend to deteriorate less rapidly than organic roofing materials. Exposure to air pollutants and industrial or salt-laden atmospheres may accelerate the deterioration process of some roofing materials. Roofing materials are subject to damage from strong winds and flying debris. Generally, roofs are not designed to withstand winds of hurricane and tornado intensity. However, roofs may also be damaged by winds of moderate intensity, with gust that may reach 50 to 75 mph. The primary cause of wind damage is from the partial vacuum created by wind blowing over the edge of the roof. Nature tries to neutralize the low-pressure area by bringing in air from a higher-pressure area, usually from inside the building. This air pushes on the bottom side of the roof assembly and, over time, loosens fasteners and breaks the adhesion making the roof susceptible to damage from the next moderate or strong wind. To counteract the effects of wind-uplift forces, the roofing and insulation should be adequately fastened to the roof deck, and a securely fastened perimeter detail should be provided. Weak roof structures that deflect excessively under load, causing splitting of the roof membrane.